One of Damilola Taylor's killers has been recalled to prison a second time for breaching the conditions of his release, 16 days after being freed. Ricky Preddie, 24, was jailed for eight years in 2006 with his brother Danny after being convicted of 10-year-old Damilola's manslaughter in London. Preddie was first released on licence in September 2010 but sent back to jail last March for breaking his parole. Damilola's father has called for an inquiry into the handling of the case. A Metropolitan Police spokesman said: "At the request of the Ministry of Justice, police attended an address in London yesterday evening and arrested a man in his 20s for a recall to prison." Gary Trowsdale, managing director of the trust set up by Damilola's parents Richard and Gloria Taylor as a memorial to their son, said his killers had never shown any remorse. "The Taylor family, society at large, and also the boys themselves have been failed by the system and the academics that run it. "Now we are demanding answers and believe a public inquiry is the only way of getting them." He added: "Richard Taylor, supported by the Damilola Taylor Trust and other victim families, is writing to the prime minister calling for a public inquiry into how the system has failed so badly in this case." Preddie was sent back to jail after his first release because he was seen in Southwark, south London, and was associating with gang members - both breaches of the terms of his licence after being freed. Harry Fletcher, assistant general secretary of the probation union Napo, said Preddie had again entered an area he was excluded from. He said: "He could now serve as much as another 14 months in custody." Anyone recalled to custody will have his or her case referred within 28 days to the Parole Board, which will consider whether that person can be released, a spokesman for the Parole Board said. 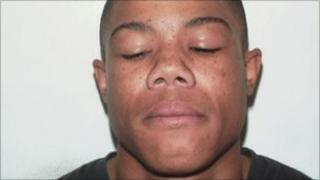 Preddie's manslaughter sentence is due to end in May 2013. Damilola was returning home when he was stabbed in the thigh with a broken beer bottle in Peckham in 2000. Ricky Preddie, who was 13 when Damilola died, was convicted of manslaughter in 2005 when forensic evidence, which was missed at the time, revealed tiny blood spots and fibres linking him and his brother to the killing.